To ensure the best sleep, your mattress and bed should not only be the best quality but should also be cleaned regularly. The quality of your sleep is affected by the comfort and hygiene of your mattress. As innovators in the sleep industry, we recognised sleep hygiene as an essential part of a safe and healthy sleep environment. The Ecoclean service for private residences and hotels is in line with our core philosophy to produce eco friendly mattresses in order to protect the environment and customers from harmful chemicals. Ecoclean is a chemical-free dry cleaning process. This professional and customised service improves the condition and lengthens the life for your mattress. It can be conveniently performed in your bedroom without noise or dust. 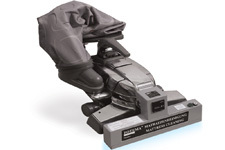 Certified by the European Research Centre for Allergies (ECARF) the Potema machine is a high-tech tool that allows a thorough disinfection without chemicals. 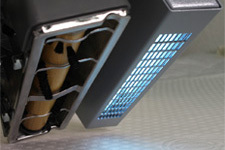 It destroys mites and eliminates bacteria, fungi and other spores present inside the mattress. 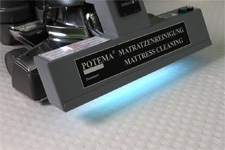 Approved by the medical sector Ecoclean performs the highest standard and requirements of mattress hygiene. By disinfecting your mattress we guarantee you a healthier, cleaner and safer sleep. Eco Clean protects you, your family and your guests from allergies caused by dust mites and bacteria. 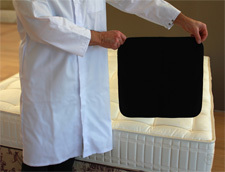 Our specialists can perform an allergen test on your mattress. This test is performed free of charge and there is no obligation for you to continue with the full service. We do however recommend that this service is done every 6 – 12 months. The service takes between 60-90 minutes and can be done in your bedroom without removing the mattress and your mattress can be used immediately after the disinfection process is finished. Depending on the amount of allergenic material found in the mattress we can determine whether a full disinfection is required. Prices for hotels or small guest houses available on request. Travel charges of R350.00 within 50km radius of Cape Town.